Artist Christopher Toth with John Hanna’s wife Diana and daughter Melanie at the mural launch in November, 2017. 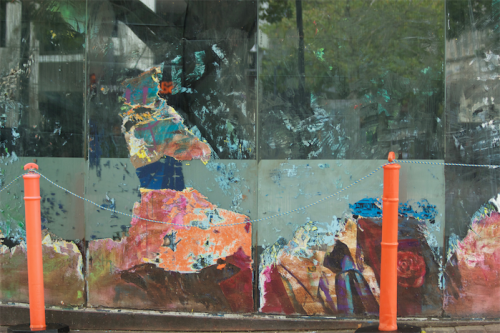 THE stunning, three-metre high mural of the late Canberra fashion icon John Hanna has almost disappeared from Garema Place. 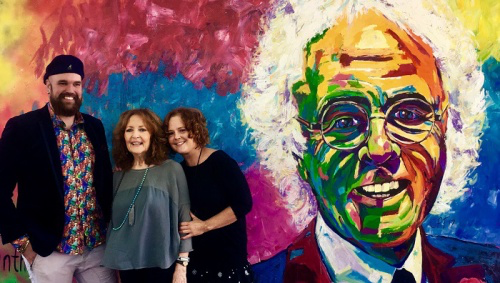 Artist Christopher Toth with John Hanna’s wife Diana, who died in February, and daughter Melanie at the mural launch in November, 2017. The work – at the front of Bible House – by local artist Christopher Toth was officially unveiled by Hanna’s wife Diana and daughter Melanie in November 2017, two months after Hanna, who dressed local men for 40 years, lost a battle with cancer. THE Hawker shopping centre has copped another damaging blow with the firebombing of the Olive at Hawker restaurant. The Yianoulakis family opened the Mediterranean-themed eatery in early 2017, breathing new life into the popular but dilapidated shopping precinct. 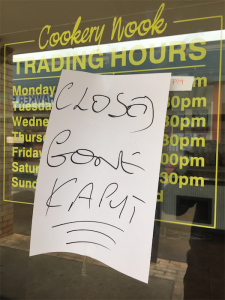 Gone kaput… goodbye to the Cookery Nook fish n’ chip shop. Hawker shops have been under a 2012 government installed moratorium staying a drastic redevelopment. 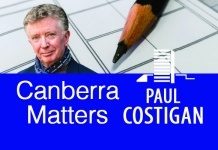 The ACT TAB outlet has gone, Ron’s Book Shop closes at the end of April and the legendary Cookery Nook fish ‘n’ chip shop has closed suddenly. 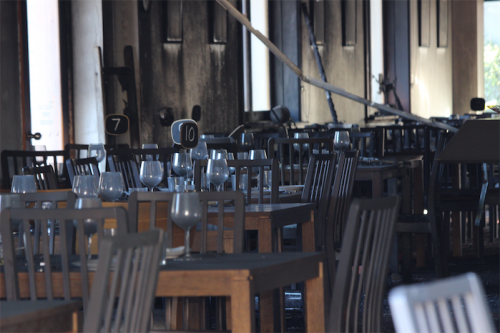 The Yianoulakis’ Mawson restaurant was completely destroyed by fire the same night. AN uncharacteristically robust rebuke delivered by ACT Attorney-General Gordon Ramsay has opened a Pandora’s box around the seal of the confessional. Catholic Archbishop of Canberra Christopher Prowse says despite new legislation priests would not break the confessional seal but rather “the priest hearing the confession would encourage the person to report the abuse outside the seal”. But Ramsay, a former Uniting Church minister, hit back with: “It is irresponsible for the leader of any institution to suggest their internal rules should take precedence over an ACT law which has been passed specifically to ensure the safety of our children”. 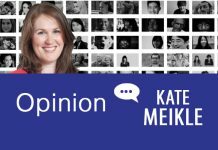 UNTIL last week there wasn’t an Australian politician qualified to nudge Barnaby Joyce aside with the “hold-my-beer” punchline when it comes to bone-headed political judgement, arrogance and barefaced opportunism. By spectacularly eclipsing all recent gaffes, missteps and poor judgement calls by politicians, Pauline Hanson has gone straight to the top of the political dumb-as-dog-droppings pile. An Al-Jazeera doco outed two One Nation nongs in the US approaching the National Rifle Association for millions of dollars in funds, and featured footage of Hanson discussing “questions” surrounding the Port Arthur massacre. MEANTIME, the Federal member for Fenner Andrew Leigh has taken direct aim at the One Nation founder and her twisted Port Arthur conspiracy theories. Labor’s shadow treasurer tweeted: “One of the victims of the Port Arthur massacre was Zoe Hall, a brilliant young lawyer who was my mentor at Minter Ellison, the firm where we both worked. I find it revolting to think that anyone would peddle conspiracy theories about Aust’s worst shooting”. The tweet was “liked” by 746 and retweeted a massive 2765 times. Mike Welsh with that well-known redhead. AND I have vague recollections of once attempting to mentor Australia’s most famous redhead in the finer points of the noble art of radio shockjockery. 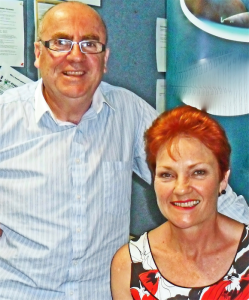 It was early 2012 and Hanson, momentarily bereft of a political gig, accepted an offer to co-host my drivetime show. My managers thought a stunt involving the divisive Hanson would lift ratings. It didn’t. This snap has been photoshopped by foreign agents and will definitely be taken out of context. STILL on the wireless and shock jock Ray Hadley has been forced to apologise to a former, longtime staffer after more allegations of workplace bullying. Producer Chris Bowen posted details on his Facebook page of “years of intense bullying”. 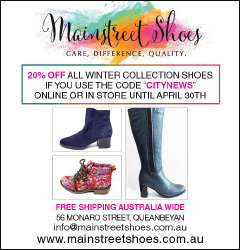 The story was picked up by Sydney’s “Daily Telegraph”, prompting other former staffers to share their stories. The former greyhound racecaller (networked through 2CC), who has confessed to a checkered history in relation to bullying, responded to the claims with “I’m sorry for any hurt I’ve caused him”. But Hadley’s mea culpa may not be the end of the matter, with Bowen tweeting: “Unfortunately for Ray Hadley and 2GB this has gone way beyond me. I’m helping a long queue of people. I will not stop.” SBS TV is understood to be putting together a piece on Hadley and the bullying culture that has punctuated his long career. I am sure you will find that Gordon Ramsay is a Uniting Church minister not a pastor.